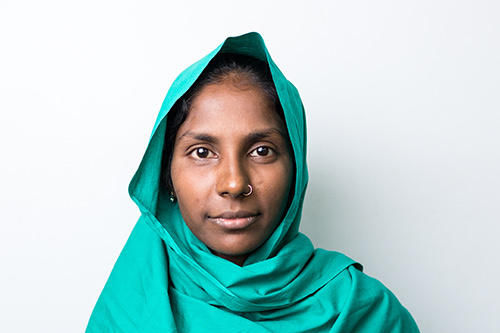 DHAKA, Bangladesh – For women suffering from obstetric fistula, a traumatic and debilitating childbirth injury, the effects are much more than physical. The condition often leaves them stigmatized by their communities, abandoned by their families and unable to work. And treatment alone does not end this ordeal. After years of isolation, they have to learn to rebuild their lives. A rehabilitation centre in Bangladesh is helping fistula survivors do just that. Nasima Nizamuddin, who struggled after being rejected by her husband, says the fistula centre helped her heal, and it is giving her the skills to support herself. Obstetric fistula is a hole in the birth canal caused by prolonged, obstructed labour. It can cause frequent pain and infections, and it leaves women with chronic incontinence. Survivors often find themselves ostracized and excluded from jobs. The condition is almost entirely preventable, and its persistence is a human rights tragedy. Emergency obstetric care has essentially eliminated obstetric fistula in affluent countries. Today, it affects the most marginalized and impoverished women – an estimated 2 million around the world. Efforts to treat the condition are gaining ground in Bangladesh. But rehabilitation efforts are equally important, said Ferdousi Islam, a professor at Dhaka Medical College. “Treatment without rehabilitation is only partially effective. Rehab is where they learn how to cope with their condition and situation, and where they develop a support network that empowers them,” she said. The survivors also receive psychosocial support. Counsellor Farhad Kanijfatema , who has been at the centre since its inception in 2006, explains that these services are critical for women who have been considered outcasts in their communities. Ms. Nizamuddin developed fistula during the birth of her son. Her husband left them soon after. “I was very scared when I arrived here, but the people here have helped me so much,” she said. She elected to learn advanced agriculture techniques, such as animal rearing and organic farming. “I will be able to utilize the land I have and earn a lot of money, which I can use to help my family,” Ms. Nizamuddin said. 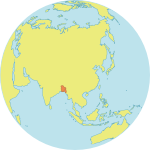 The centre, which is supervised by the Government of Bangladesh, is operated by the Bangladesh Women’s Health Coalition, with support from UNFPA. It is the only one of its kind in the country. According to the centre’s communications officer, Mohammed Islam, many more such facilities are needed. “There are nine hospitals in Bangladesh that offer fistula treatment, but there is only this one rehab centre in Dhaka. We normally operate at close to maximum capacity, so in the future every hospital needs to have its own centre to meet the demand,” he said. For women like Ms. Nizamuddin, the importance of the programme speaks for itself. “I feel that I can improve my life when I leave here because of the skills I have learned,” she said.